The variety and intricacy of the costumes can be seen on many of the characters, but none more so than on the three queens of Naboo: Amidala, Jamillia, and Apailana. 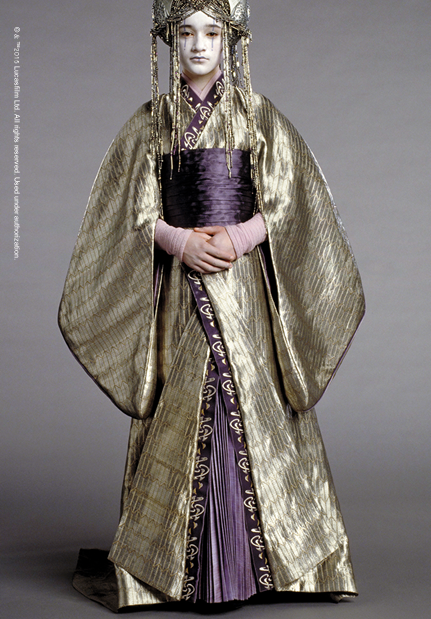 Queen Apailana’s Japanese-inspired costume, was worn for the funeral procession in Revenge of the Sith. 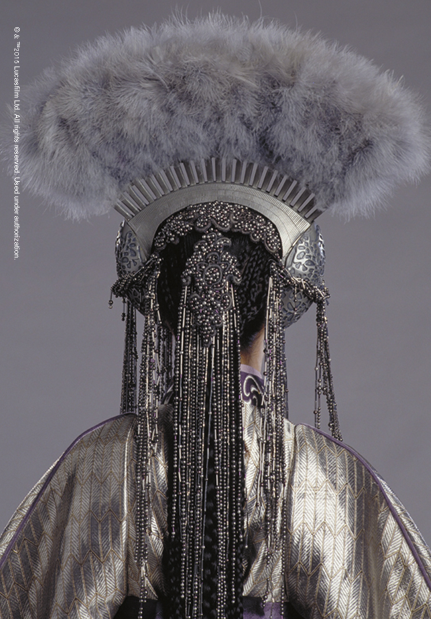 The Queens’ elaborate headdresses seen throughout the prequels were made in-house in a specially set up costume prop workroom, supervised by Ivo Coveney. His ingenuity and love of detail enabled the creation of complex and intricate pieces fashioned for many characters. 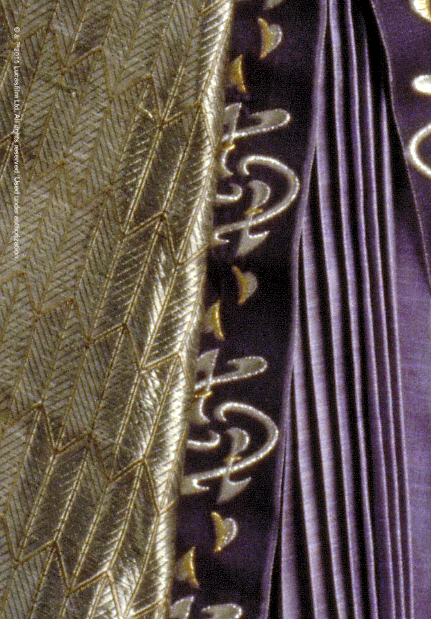 In designing for royalty, the luxurious fabrics take center stage. In the prequel trilogy, designer Trisha Biggar had a passion for researching new fabrics—if she saw a material she loved, she would trace it back to its source, and work directly with manufacturers in places like China, Hong Kong, and India.